This product in association with The Artisan Group was displayed and gifted at the GBK's 2016 MTV Movie Awards Celebrity Gift Lounge honoring the MTV Movie Awards Nominees and Presenters. 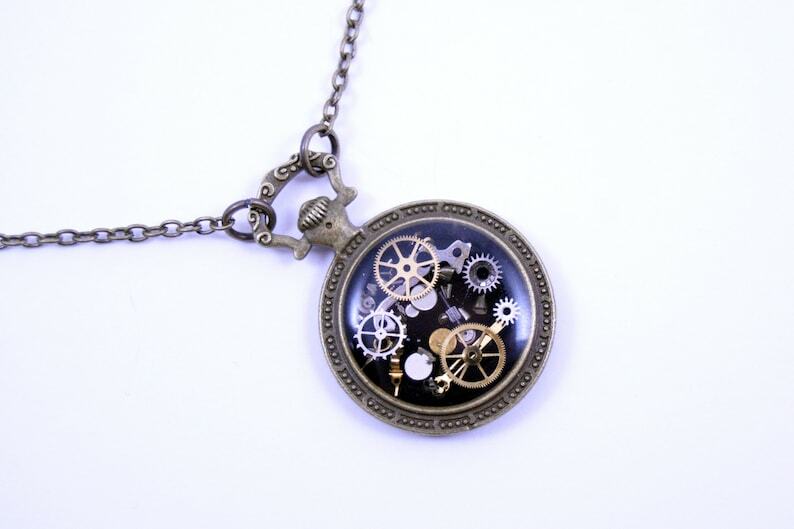 Handmade, one of a kind steampunk pendant, lovingly crafted and filled with real recycled watch parts to accent any steampunk outfit, cosplay, or spice up your wardrobe any day! 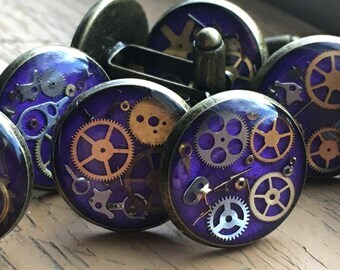 These are not mass produced, and are done in very limited runs because of the process used to make these truly unique pieces is very detail orientated. Crafted using high quality, genuine watch parts, there is an amazing amount of detail from every angle!